› Pump your tank on a regular basis; the more you use it the more often it should be cleaned out. › Conserve water. Your system is scaled for a certain flow of water. Fix leaking faucets, install low-flow fixtures, and avoid unnecessary water usage. Also, if you build on to your house, add a hot tub or other similar item that generates a large flow of water, make sure your system is scaled to handle the extra flow. › Restrict or eliminate using the garbage disposal. Compost our garbage or put it in the trash. › Install a lint trap on your washing machine discharge line. › Know where your drainfield is and take care of it. Divert extra water from flowing over the drainfield and avoid planting anything but grass over the drainfield area. Make sure heavy items are never placed over the drainfield, including piles of snow. › Make sure your tank is protected from unauthorized entry. › Know where your septic tank cover is and keep it easily accessible for inspections. › Have your system inspected regularly by a professional AND call a professional when you have problems. Call the Health Department of Northwest Michigan at 231-547-6523 for guidance if you're not sure who to call. › Flush items that aren't biodegradable. Diapers, wipes, tampons, condoms, and sanitary napkins should all go in the trash. › Allow hazardous fluids to enter your wastewater treatment system. Solvents, oils, paint thinners, poisons, pesticides, etc., need to be disposed of properly. Call your township office for the date of the next dropoff. 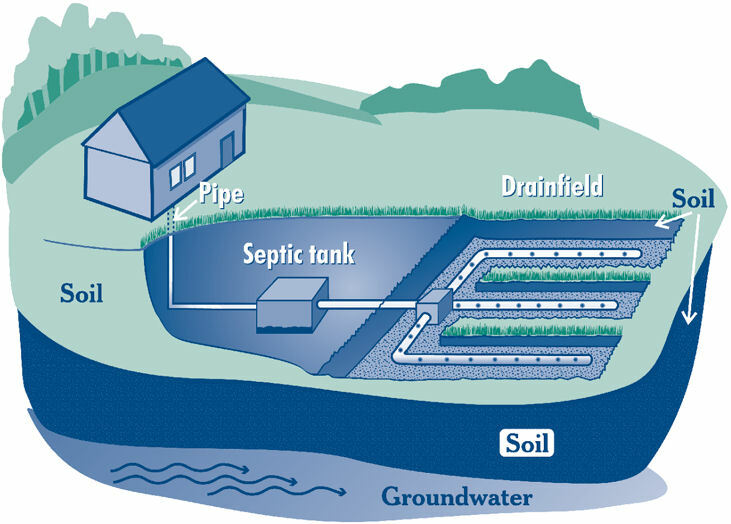 › Enter a septic tank--EVER! Gases in the tank are very dangerous. Call a professional service provider in case of problems. › Dig in your drainfield or build anything over it.